What you are looking at weighs over 2 Hundredweight, one tenth of a ton. or the power supplies, or the control logic, or the cabinet - framework, and enclosing panels. 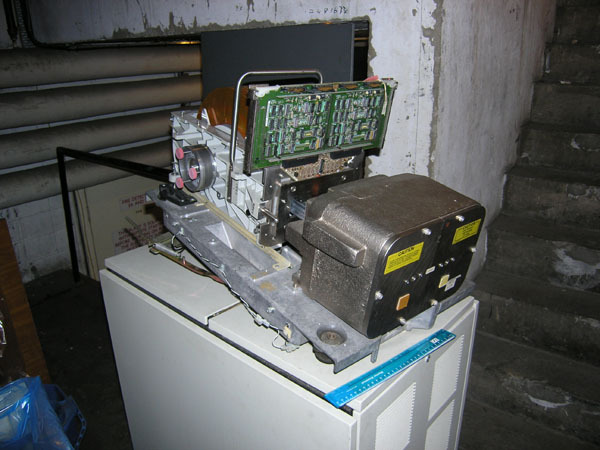 This is a photograph of a Memorex disk drive unit being repaired, as was too often the case. 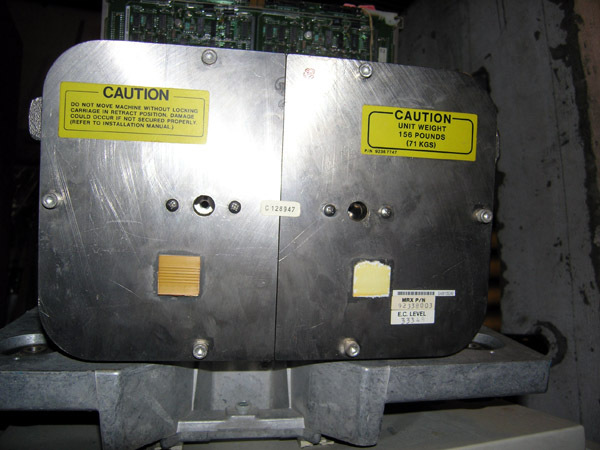 At the bottom is a power supply and out of sight, a large electric motor that turned the pack of disks via a belt. Above is control circuitry, and just visible a bit of the disk storage FRU itself. I cannot remember the name of the engineer. I ought because he came to the computer department over many years. Here is a view of the 8 disk platters, giving 14 recording surfaces, plus two servo surfaces. it had two head assemblies and electronic identities. but its removal involved two people and quite some time. It was only removed if damaged. because the disk unit has been released to a position where it can be removed from the disk chassis. along a radius if the disk drive surfaces.This was the same for earlier disk drives. This movement involved many bearings to keep the head assembly in place. All of these bearings are prone to wear, this restricted the density of the track spacing. 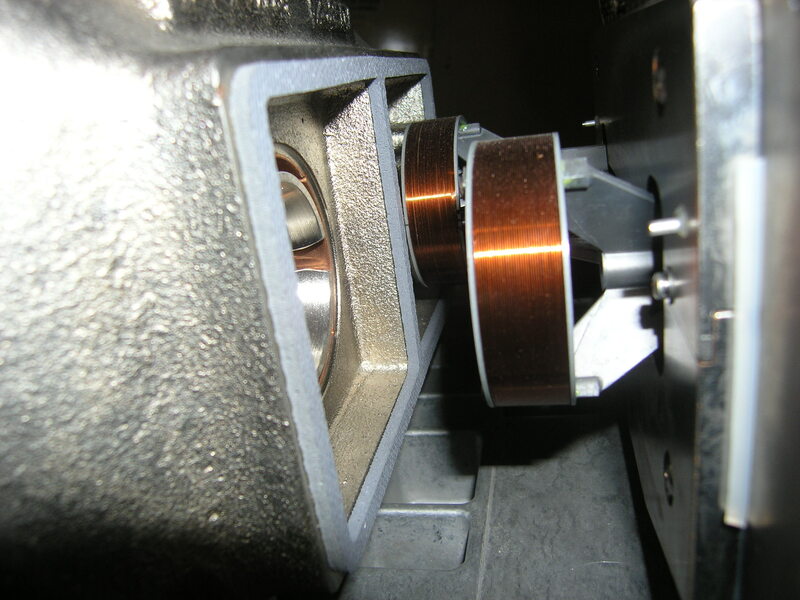 This is an example of a linear voice coil actuator. This disk drive was at the end of an era. and this MEMOREX disk drive was typical of the behemoths that existed at the end. 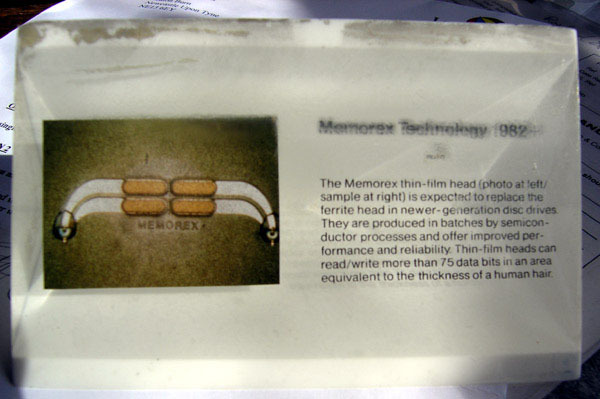 The other significant fact of the MEMOREX disk drive was its thin film head. 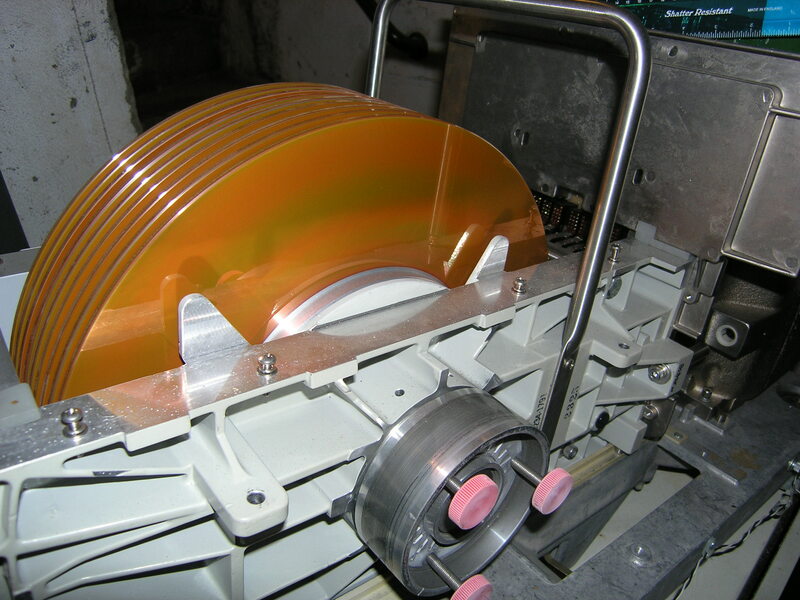 Here you can see them and their reflection on each disk surface. 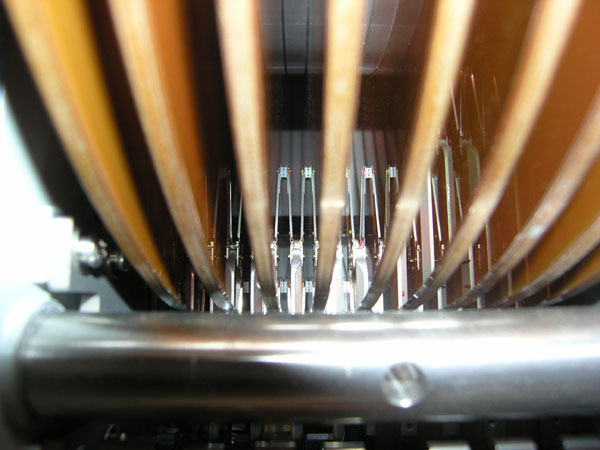 was used to manufacture the semiconductor chips. The thin film heads had very narrow and controlled head gap. This enabled writing at greater densities and at closer track spacing. This advertising artefact was given away in 1982 to promote MEMOREX disk drives. within the plastic, but it is hard to see. It is under the hn of Technology and above the word film.